Whether players have ever stepped foot in a casino or accessed an online site, they will have a general knowledge of slot games. These games have been played for many years and are among the most popular choices for those that gamble. 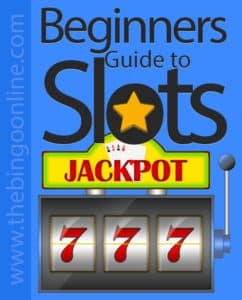 Anyone interested in getting started with slots will benefit from the information provided here as we take a look at how these games were developed and how they have evolved and also help players with their online choices and game selections when they do decide to start spinning to win. The very first slot game was invented in the late 1800s by Charles Fay, and it was titled the Liberty Bell. The game was an elementary form of a slot, offering three reels and just five different symbols. This was the first mechanical slot game to be offered, and this type of game is often referred to as one-armed bandits since a level was used to move the reels. Even though the initial slot games were simplistic and dull, they laid the ground for the great games that would come in the future. It did not take long for people to start to fall in love with the action of slots and the game soon became the fruit machines that are found in many land casinos around the world. In the 1960s, the game underwent some significant changes. It could now be started by pushing a button instead of pulling a lever and players benefitted from added features, such as Nudge, where they would move reels to try to complete a winning combination. In addition to these changes, players started to see the slot displayed on a screen instead of physical, mechanical reels. As more and more slot games were introduced and as more players worldwide started playing, players demanded better games with more options. The birth of online casinos changed how slots were played. In the 1990s, the first online casinos started operating and began offering a wide array of slot games, mainly focusing on the offering of video slots. Today, online and land-based casinos are home to a variety of games, including the original three reel game. Most players now flock to the 3D and video slots, which feature bonus rounds, wilds, scatters, hold options and much more. Over the years, the slot machine has changed drastically, but it all started back in the 1800s, making these games one of the oldest to still be played in a casino setting. When players enter a casino, they will be greeted with a massive selection of games. Since slot games are the most played options, casinos are loaded with a variety of titles that can meet the needs of any player. Each casino will have different games from various providers, but they all offer the three different types of slots. Online and land casinos will offer the traditional slot game, where the game offers three reels. These games are the original fruit machines discussed earlier. They have been enhanced over the years and often come with some added extras. Some of these games have wilds and even scatters and can offer between 1 and 5 pay lines. Most players will head to the video slots, which provide much more action and much more ways to win. These are new slots with five reels. These games can have pay lines that range from 9 to 100, and there are now games that offer ways to win structures instead of paylines. The main attraction to video slots is the bonus feature that is provided. Many of these games have a lucrative bonus round, and in some cases, games will have more than one bonus offer. The final type of slot game is a progressive jackpot game. These games can be three or five reel games, and players will play for a massive jackpot win. Many jackpot slots require a maximum wager, but newer games are now offering random progressive jackpots that do not need a specific bet amount or a particular winning combination. After players have learned a bit about the history of slots and the types of games that can be played, they will have to know how to choose the best game to meet their needs. There are different things to consider, but one of the most important is the cost of the game. Players should always choose a slot game that is affordable at the max bet amount. Luckily, games that are featured at online casinos support multiple coin denominations, so they are affordable options. One must pay attention to the number of paylines, as this can affect the overall cost to play. If players cannot cover all paylines, they should choose a game that has fewer lines. Playing all paylines is a way to increase the chances of winning. When choosing video slot games, players are often attracted to a title due to the theme and visual presentation, but there is something else to consider. Most of the payouts generated from video slots will come from triggering bonus rounds, so try to choose games that have multiple options, including free spin rounds and second screen bonuses. When playing at online casino sites, most sites will audit the games that are offered. This means that an independent company will test the fairness of the game and will verify the payout rate. When possible, always compare the payout rates and choose the game that has the highest percentage. This can increase the chances of winning. Even if the wins are for smaller amounts, players will enjoy winning combinations more frequently with a game that has a high RTP. Finally, when selecting jackpot slots, do not just pay attention to the jackpot amount. Unfortunately, most players will choose games that have millions in jackpot winnings available. However, jackpot games tend to have lower payouts in the base game, so the larger jackpot games are not always the best choice. It may be better to choose a llower-paying jackpot game that has higher base game payouts and a better RTP. There are some amazing benefits to playing slot games at an online casino site. In addition to having a large selection and being able to win real money, these sites will offer games that can be played for free. Since online casinos often house hundreds of different slot titles, free games can be very beneficial when choosing a title. Free slot games are completely risk-free, and while they will not offer any real money payouts, they will provide a chance to preview the game before betting. Each slot game online will have different features, layouts and pay tables. By selecting some free games and taking a few spins, players can learn all they need to know about how the game is played and what features are offered so they can make an educated decision on what title to play. After players have compared games and played for free, they can create their casino account and deposit funds using secure payment methods. These funds can then be used to place wagers on slot games, just like in a land-based casino. This is how the real money will be generated. Most slot games that are found online will have multiple betting options, so they cater to low, mid and high rollers, allowing all players to access the same game titles and place various bets. Real money slots can offer outstanding payouts, and when playing online, the games tend to pay out better than land-based slots. Even though slots do not offer players the best chances in the casino, there are more options and most casino sites are adding new titles on a regular basis, so there is always something new and exciting to enjoy. One of the great things about playing online is the offering of slot bonus offers. Most online casinos will greet new players with a welcome bonus that provide a match percentage on the initial deposit amount. This bonus cash can be used on any supported slot game, though some casinos will have exceptions, especially for jackpot games. Seeing as slots attract many players, online casinos will also offer ongoing bonuses that cater to slot players. There are free spin offers, where players can collect a set number of free spins by meeting bonus requirements. Some may require a deposit amount, but many sites offer free slot spins for frequent visitors. These bonuses can provide more chances to win without depleting a bankroll. Slot games remain the most played games in any casino setting. These games are easy to play and easy to learn as there are no complicated rules involved. Since they are games of chance, they are also no specific strategies that must be learned. In fact, online and land-based slot game results are all controlled by a random number generator, so there is nothing players can do to alter the outcome. The only strategies that can be applied are related to game selection and wagering. Slots have evolved over the years into what we now see in land and online casinos, and there are always new games being developed. The latest games come with innovative and interactive bonus rounds, vibrant graphics and animations and superb sound effects to make players feel like they are part of the game. With hundreds of titles and many various features, slots can provide hours of entertainment and can offer the chance to grab some impressive payouts when played for real money. 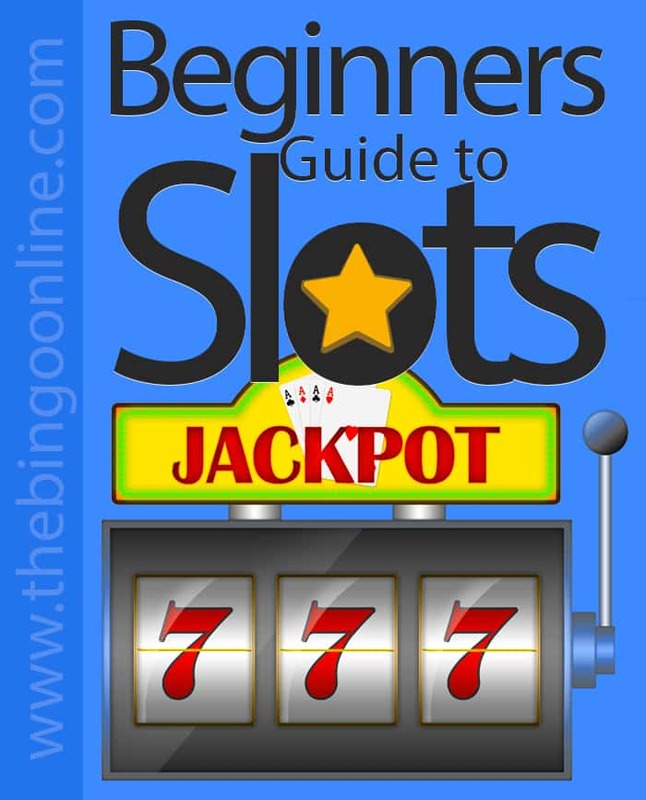 As a beginner, it is best to start with some free games to learn how slots work and then start placing wagers that fall within a set casino budget. In no time, players will start reaping the benefits of these thrilling games.